This hat is a textured mix of ribbing, chevrons, and a seed stitch pomball. I kept the slouch smaller on this design and went with a crisp white. 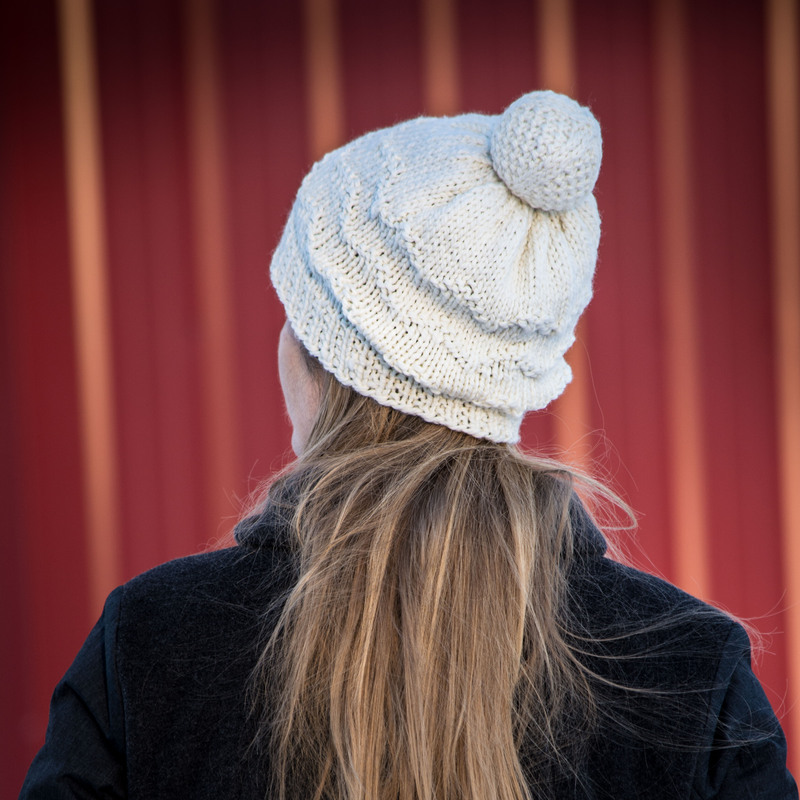 It’s a bulky yarn so this hat is a perfect last-minute gift, or something to whip up for yourself on a snow day. The pattern has written and charted instructions and includes a photo tutorial for attaching the pomball. The pomball comes in 2 sizes. Approximate Yardage bulky weight yarn with 15% buffer: 57 (74, 94, 116, 140) yds / 52 (67, 86, 106, 127) m Largest sizes will use entire skein. 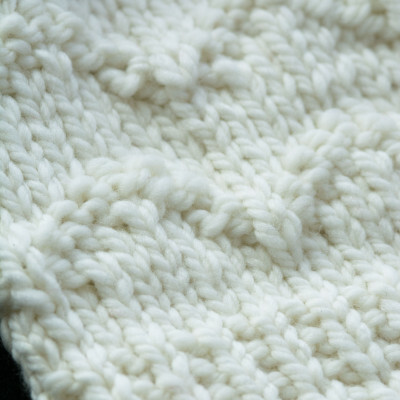 You may wish to buy 2 skeins of recommended yarn to ensure you have enough for your project.